Pooker! 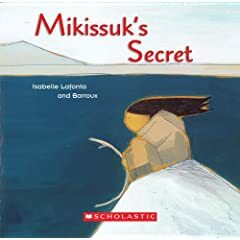 Congrats to Pooker who takes away a copy of Isabelle Lafonta and Barroux's Mikissuk's Secret by entering the 2nd Canadian Book Challenge 8th update contest. I'm not sure if I've ever explained how I pick my winners, but if anyone's curious: I assign all the entries a number based on the order in which it was received. Then I use a customized random number generator that allows me to set the upper and lower limits. Think of it as a high-tech hat. Awww, thanks John! I'm tickled to receive this book. Love your high tech hat! It's sure been nice to me. BTW: Once I've had a chance to read and admire the book, it will go to a BookCrossing shelf in one of our local schools. So some lucky child will ultimately be able to take it home as their very own.